Welding is the process of joining metals or plastic pieces that are heated and melted to mix together forming joints with properties typically as stong as those of the materials joined. During the process usually, a filler material is added to the surfaces to be welded that it first melted and then cools forming the joints that are stronger than the base material. It is essentially a part of the fabrication or sculpting process and is different from brazing, or soldering that are carried out at lower temperatures and do not involve melting of the base metal. There are different types of welding among which the most popular are MIG, TIG & Stick Welding. 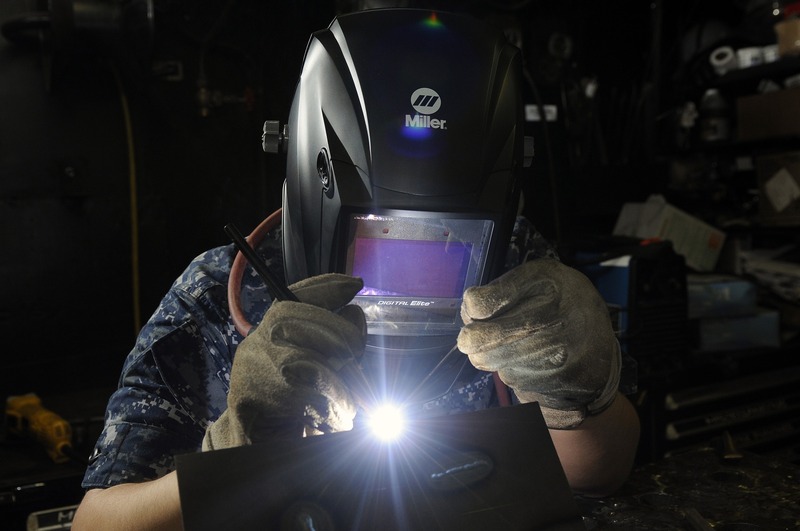 MIG Welding or Metal Inert Gas Welding began with non-ferrous metals like aluminum but moved on to steel as well later. It is simpler and quicker compared to other welding methods and can be used to weld a range of metals. Perhaps the biggest advantage of the process is that it can be automated with Robotic MIG welders carrying out the job with a wire feed system that are electrodes. The fume output is also less compared to other methods. TIG Welding or Tungsten Inert Gas Welding is also referred to as GTAW or Gas Tungsten Arch Welding. TIG processes are typically used for Aluminum. This type does not make use of an electrode but an external rod for creating a molten metal mass that will forge the weld. An inert gas such as argon or a mixture of argon is used as a gas shield for the process. TIG welding is preferred for its high-quality and strong weld with a neat finish as well. This type of welding, however, calls for fine welding skills compared to the other types. Stick Welding or Shielded Metal Arc Welding is perhaps the most common method of welding widely used in steel fabrication, repairing heavy equipment construction and pipeline works. Electric current like a thunder-bolt is run through the welding rod or the electrode and the metal to be welded or the substrate. The welding rod melts to create the weld and the ensuing flux inhibits oxidation and any possible weakening of the weld. At LPFAB we have the infrastructure in a sprawling 22,400 square foot facility to carry out all possible types of Welding in Utah catering to the fabrication, repair and refurbishing needs of all local industries.